Protests have continued for more than a week since the fatal police shooting of 18-year-old Michael Brown in Ferguson, Missouri. Police officers initially met protesters with full riot gear, armored vehicles, and assault rifles, escalating tensions and leading Governor Jay Nixon to replace the St. Louis County Police Department with the Missouri State Highway Patrol, saying the St. Louis suburb looked like "a war zone." The Defense Department has provided tens of thousands of pieces of military equipment to local police departments for free. 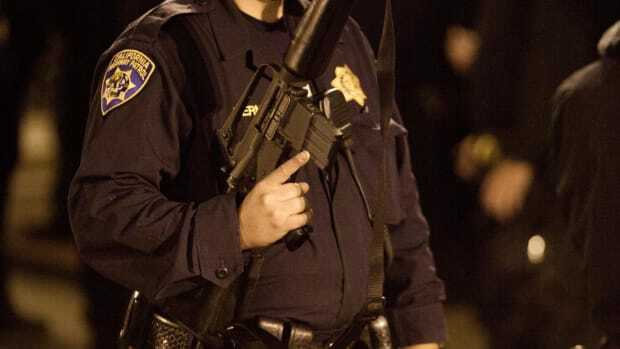 As a "long season of war" draws to a close for the U.S., surplus weapons meant for foreign battlefields are finding their way into police departments across the country, the New York Times reports. The free supplies provided to local law enforcement include machine guns, magazines, night vision equipment, aircraft, and armored vehicles. 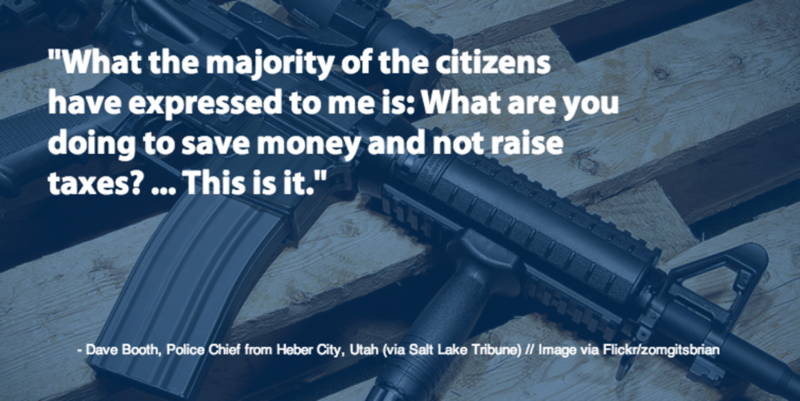 Local news outlets have investigated the flow of military-grade weapons and equipment into police departments in Utah, Indiana, Georgia, and Tennessee. States received at least $34 billion in federal grants to purchase military grade supplies in the decade after 9/11. Thousands of local police departments across the country went on a "buying spree" fueled by billions in federal grants, CIR reported. Even in remote cities like Fargo, North Dakota, rated one of the safest cities in America, police officers have traveled with military-style assault rifles in their patrol cars. We talked to one of the reporters behind the story, G.W. Schulz, about his findings on a MuckReads podcast in January 2012. 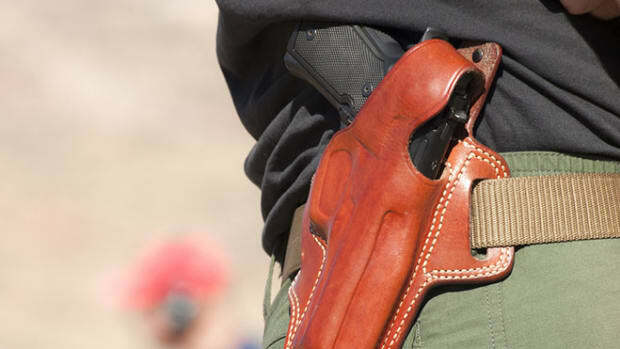 Department of Homeland Security spending on domestic security hit $75 billion a year in 2011. 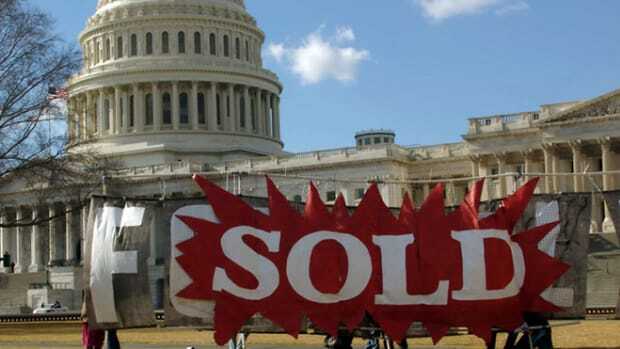 But that spending "has been rife with dubious expenditures," the Los Angeles Times reported, including $557,400 in rescue and communications gear that went to 1,500 residents of North Pole, Alaska, and a $750,000 "anti-terrorism fence" that was built around a Veterans Affairs hospital in North Carolina. St. Louis County has received at least 50 pieces of free tactical gear from the Defense Department in the last four years. Newsweek obtained a list of the "tactical" items that St. Louis County police procured through the 1033 program, including night vision gear, vehicles, an explosive ordnance robot, rifles, and pistols. Popular Science breaks down the types of body armor, vehicles, and weapons used by Ferguson police, as documented by journalists and witnesses on social media. 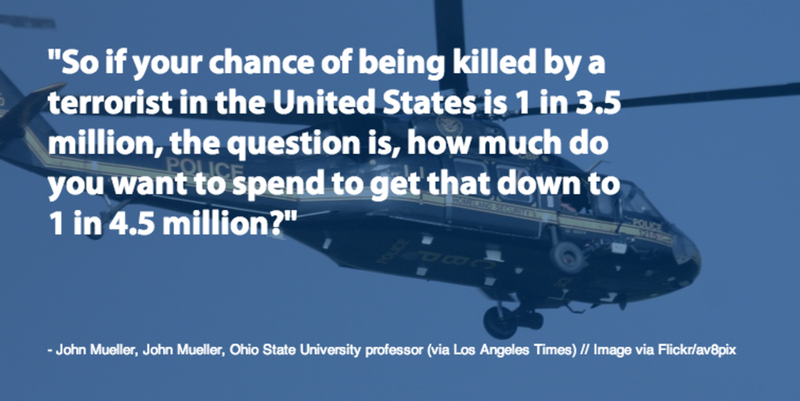 Police conduct up to 80,000 SWAT raids a year in the U.S., up from 3,000 a year in the early &apos;80s. That&apos;s according to criminologist and researcher Peter Kraska. 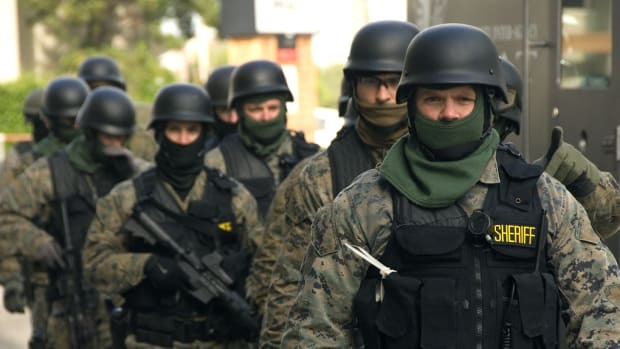 But according to a recent study by the American Civil Liberties Union, almost 80 percent of SWAT team raids are linked to search warrants to investigate potential criminal suspects, not for high-stakes "hostage, barricade, or active shooter scenarios." 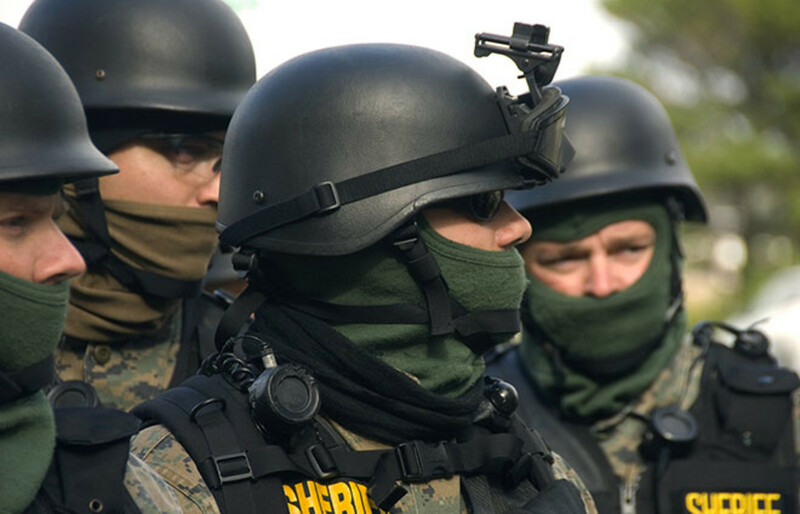 The ACLU also noted that SWAT tactics are used disproportionately against people of color. 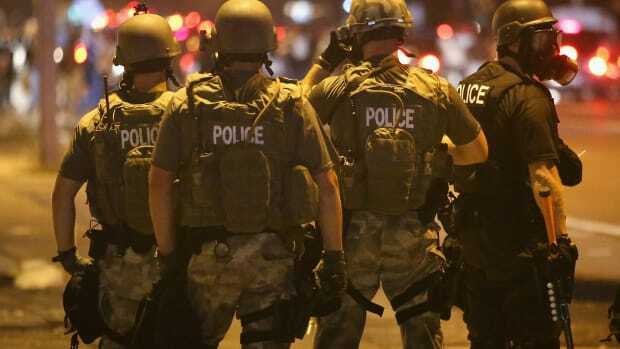 The grenade launchers used by Ferguson police can cause serious injury. 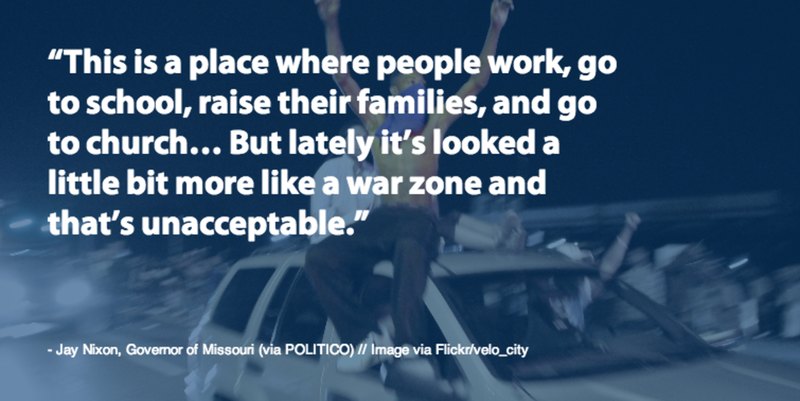 Flash grenades like those used in Ferguson have been shown to cause serious harm in the past. In one instance, a flash-bang grenade exploded near a toddler&apos;s face during a drug raid by a local SWAT team in Georgia. The boy spent several weeks in a burn unit and was placed in a medically induced coma. County officials later said that they did not plan to pay the toddler&apos;s medical expenses. Militarization isn&apos;t just changing the tools police officers use, but how they relate to communities they serve. 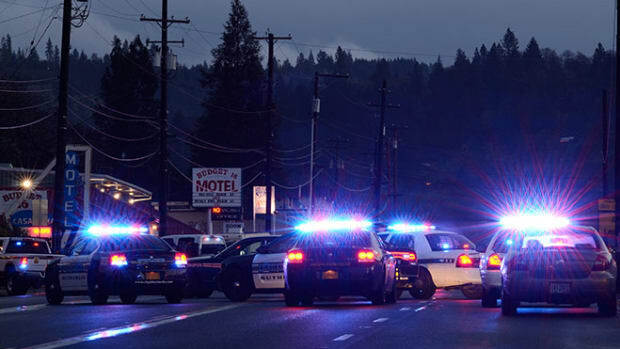 Investigative reporter Radley Balko told Vice that police officers are often isolated from the communities they work in. "I think a much deeper problem is the effect all of this war talk and battle rhetoric has had on policing as a profession," Balko said in an interview. "In much of the country today, police officers are psychologically isolated from the communities they serve." This post originally appeared on ProPublica as “The Best Reporting on Federal Push to Militarize Local Police” and is republished here under a Creative Commons license.